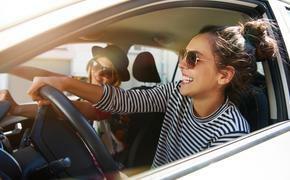 National Car Rental is celebrating the 25th anniversary of the Emerald Club, which was the car rental industry’s first frequent renter program. It launched on St. Patrick’s Day in 1987. Throughout the month, fans of National’s Facebook page can participate in the celebration submitting their favorite memories of 1987 via anecdotes, photos or video for the chance to win a $25 gift card in the “Blast from the Past” sweepstakes. The Emerald Club provides expedited rental process with counter bypass as well as Drop & Go service with convenient e-receipts. The Emerald Club program also provides electronic “Arrival Alerts” and access to National’s “Emerald Aisle,” an exclusive section of the lot where members can select any vehicle as long as they reserve a mid-size car. Members pay the mid-size rate, even if they choose a larger-class vehicle.